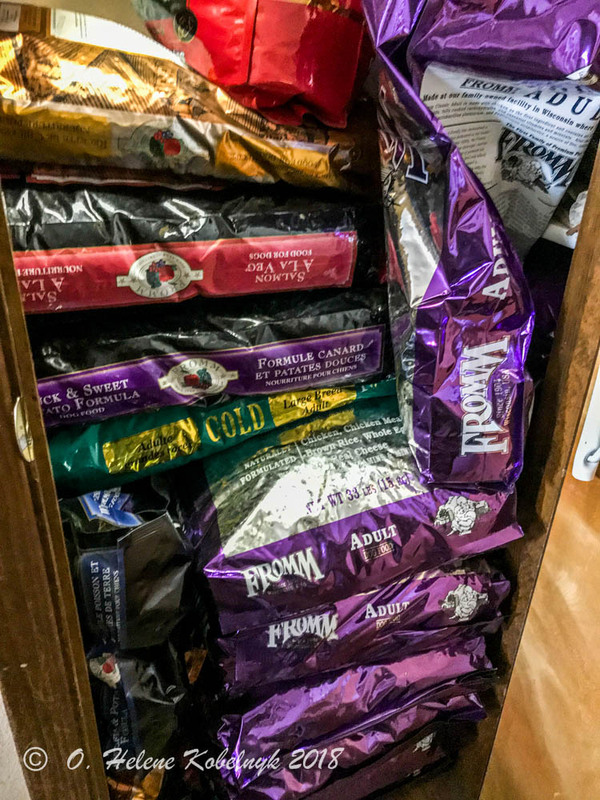 A lot of research went into our choice of dog food, especially when I started learning about the plight of dogs euthanized in animal control facilities and the alarming rise of cancer in our pets. 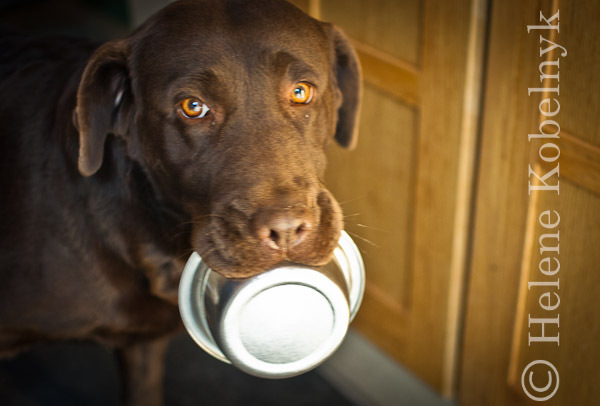 For the past year, our base kibble has been the Victor dry dog food line. They have a 4-5 star rating on Dog Food Advisor, and none of their ingredients is “outsourced.” The proof is in the appearance and behavior of the dogs . . . all are a healthy weight (a couple are prone to “chunkiness”), their appetites are good meaning they eat at a normal pace and not over-voraciously, coats are shiny and thick, their eyes are clear, bright and sparkle, and, last but not least, feces have a well-formed consistency. Since late summer of 2018, we made the decision to switch to the Fromm Family food line. Research shows that a variety of animal protein sources are important for a dog to thrive, and the Victor line did not allow that since it incorporates mostly beef and pork. Plus we wanted to include a food that had more actual meat products rather than the processed meal. Additionally, our research confirms that there are great benefits to a dog’s health when certain plants are added. 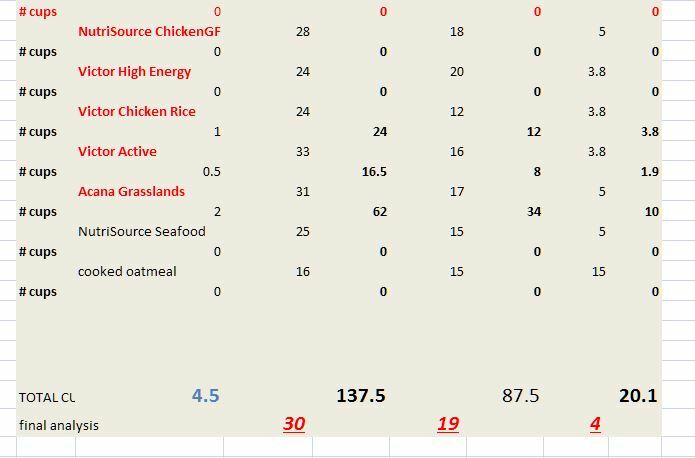 So we use the adult Gold (Fromm) as a base and mix in some of the Four Star recipes, so their diet includes proteins from not just chicken, but beef, duck, lamb, several kinds of fish, some port, and occasional rabbit. Our world has become much more dangerous . . . the food supply for humans is often tainted via questionable processing, and it’s even worse for our pets. With good and healthy nutrition, there is less chance for illness, and certainly recovery time is shorter if “something” does strike. Plus, Neurons were supposed to be nerve cells that only existed in the Central Nervous System (CNS), the brain and the spinal cord. But it turns out that there is a network of neurons in the gut designed to integrate the outside world with the inside of a mammal. . . . and certain neurons do regenerate. So the quality of food has an effect on your dog’s behavior and emotional state. My philosophy is that I’m responsible for the health and safety of all the animals that find their way into my life, regardless of where they came from, and I will do everything in my power to give them a a life of good health, love and happiness. What “goes into the body” truly matters . . . for all of us. . . for the rest of our lives. 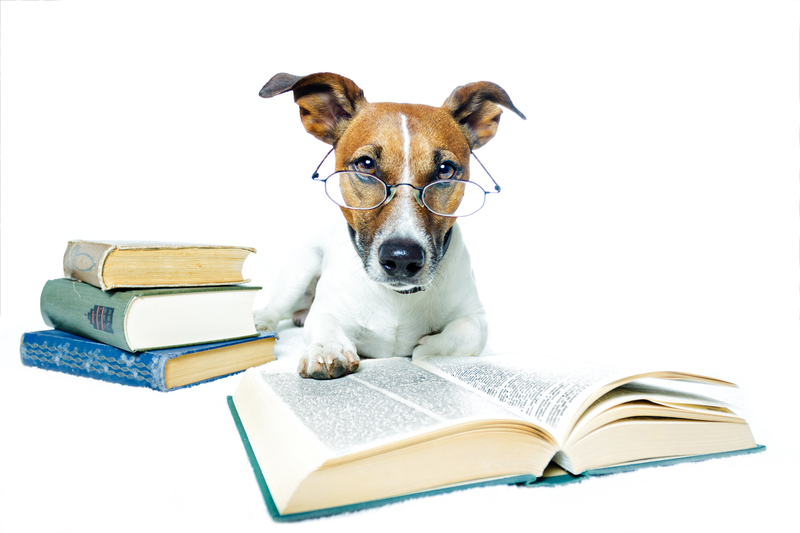 We are publishing all our findings about dog nutrition in an e-book that will be available for purchase from our online store, The Puppy Potpourri, or to subscribers to our website, Extraordinary Dogs. 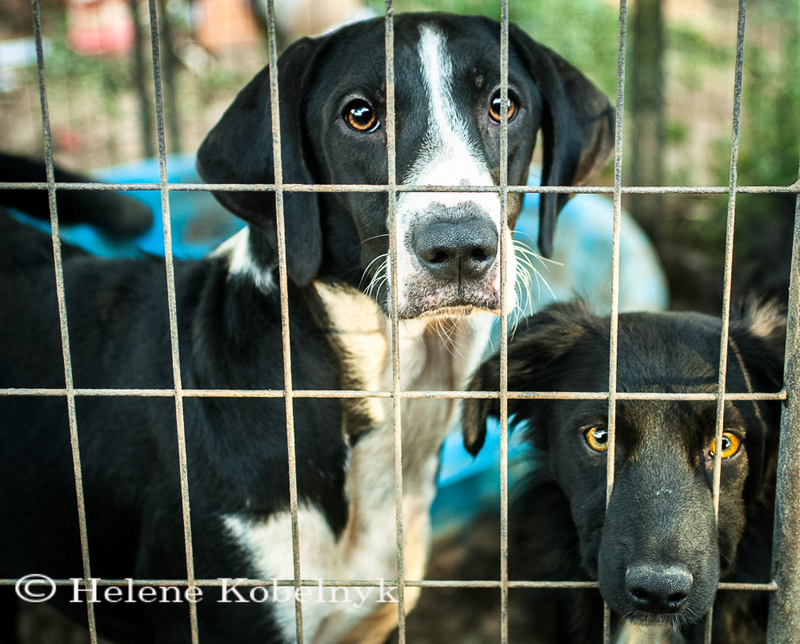 It will also be offered free of charge to anyone who donates to our current dog food campaign. The book will also include the prebuilt spreadsheet for you to use for your own computations. Extraordinary Dogs Inc. is a 501(c)(3) nonprofit charity that trains “death row” dogs for service and therapy. All donations are tax deductible and much appreciated. 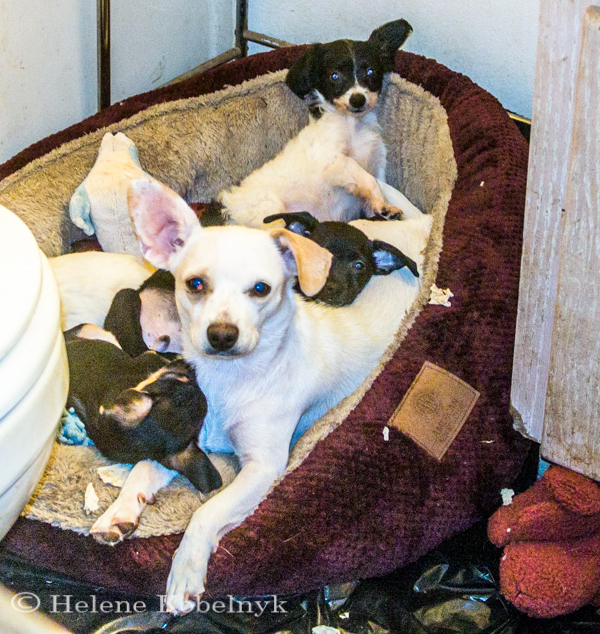 We invite you to use the link below to donate to our dog food fund. Thank you!